I follow many Japanese photographers on Instagram, and after the Sakura has fallen, those photos have been replaced by many photos of Wisteria. 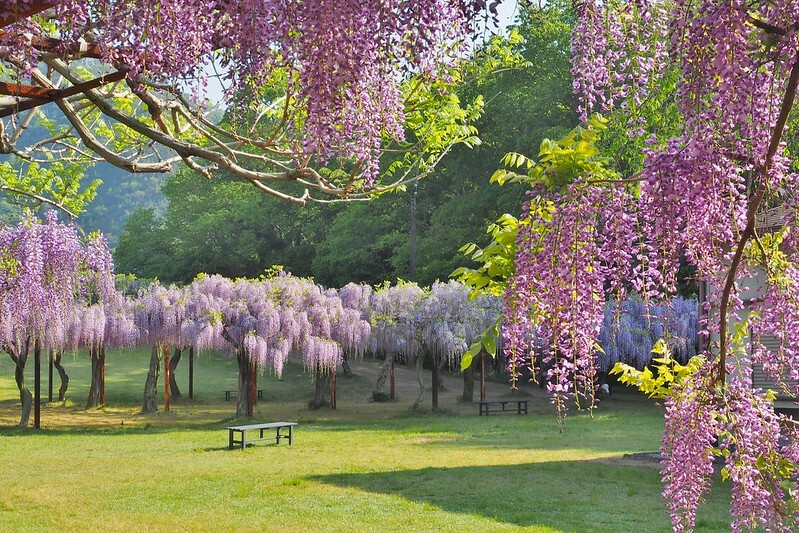 Wisteria in Japanese is “Fuji” (藤) which is one of the kanji of my family name. It’s a very beautiful flower, isn’t it? One day, I would love to see it in person… an image like the one above.